L8: LMC Multiplication - Can You Compute? explain how the computer distinguishes between instructions and data. Download, save and try the exercise below. ​By the end of the session you will be able to use the loop from the previous lesson to begin to create an LMC program which multiples two numbers together. ​2. 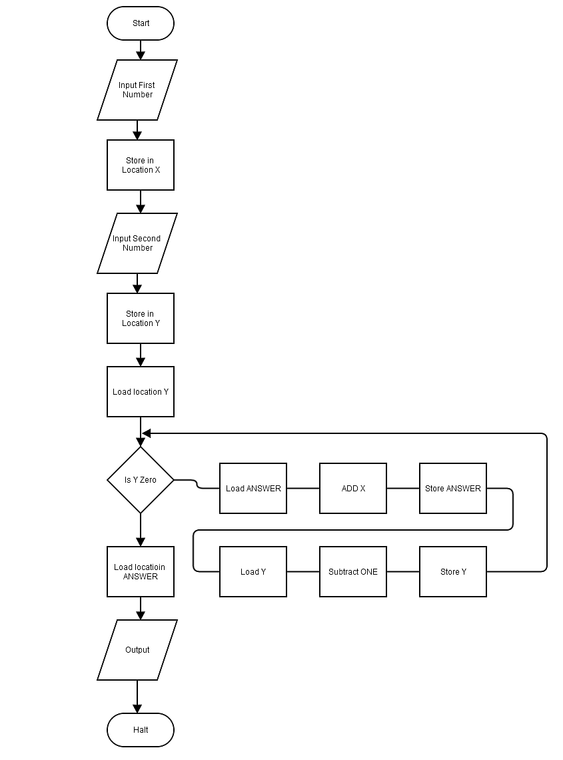 Create a flow chart which shows each stage of the LMC program that would multiply two numbers together. 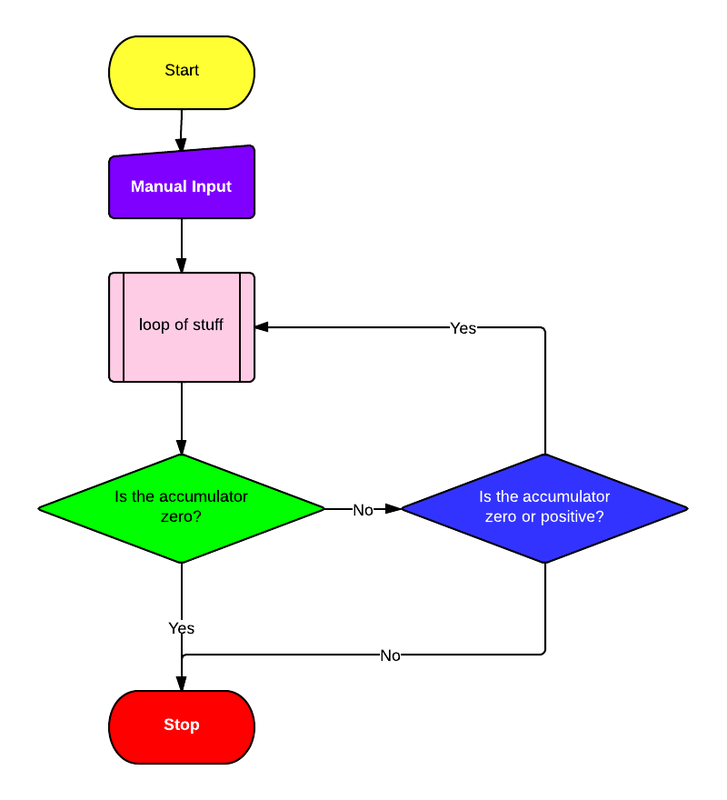 Look at the flow chart, what does it do? can you build the program that does the same thing?